Richard Dolan has just published the big owl book project through his own publishing company. He has also been a unwavering supporter of this rather unconventional work. Any author will go through pangs of insecurity, and Rich has been there to encourage me to trust what I have tried to create. He also wrote the foreword to the book, and this is posted in its entirety below. You are about to read one of the most original books ever written on UFOs, one that will make any thoughtful person ask fundamental questions about the nature of reality itself. More than any work in recent memory, it successfully ties the UFO phenomenon not simply to possible extraterrestrial intelligences, but to synchronicities, ancient archetypes, dreams, shamanistic experiences, magic, personal transformation, and death. And owls. 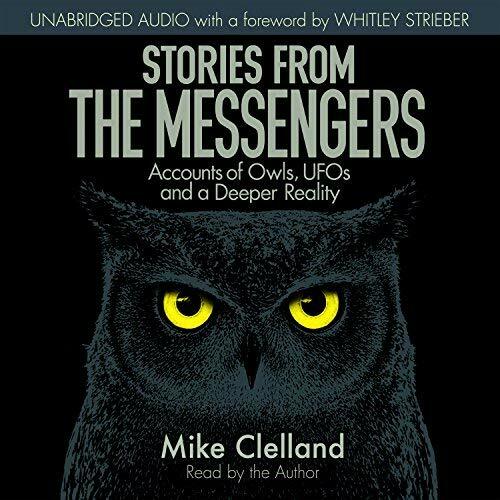 Because Mike Clelland has gathered together compelling and persuasive accounts from innumerable people who have had UFO sightings and apparent abduction experiences in conjunction with absolutely bizarre experiences with owls. Yes, real owls, not owls as screen memories of something else (although as anyone familiar with abduction research knows, this has been reported from time to time). The accounts of these people -- including those of Mike himself -- suggest undeniable synchronicities at work. That is, coincidences that are highly meaningful to the persons involved. So meaningful in some cases that they seem staged for that person, and usually in a manner that only that person could decipher. This is heady stuff for those of us raised in the standard western-based materialistic rendition of reality, one with a comprehensible cause and effect, and one in which there are no unseen intelligences at work playing us like characters in a video game. And yet, as one goes through account after account of meticulously documented experiences, it becomes hard to avoid thinking along these lines. Some of the synchronicities in this book defy common sense. 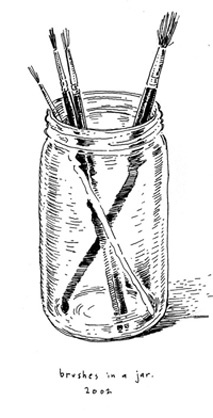 Mike writes about two women living only 43 miles apart from each other in Massachusetts with experiences so parallel, with such similarity in detail, that they seem like bookends. Both had a kind of mystical experience after a focused intention that had a profound effect on their lives. Both of them had this experience while lying on their outdoor hammock. For both of them, their event started while they were alone, and both were soon joined by their child and husband. They were even friends on Facebook, although unaware of each other’s hammock experience. They even look remarkably alike. For one of the women, the mystical encounter involved two owls; for the other, it was the sighting of a UFO. 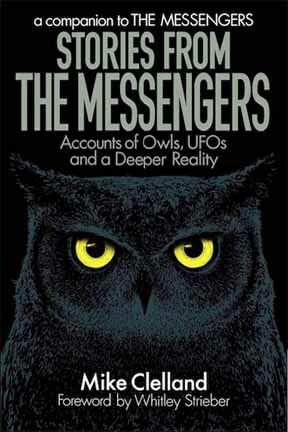 As Mike wrote, “it feels like the owl and UFO are, in many ways, playing the same metaphysical role in each story.” Even stranger perhaps, Mike happened to interview these two women one day apart from each other. 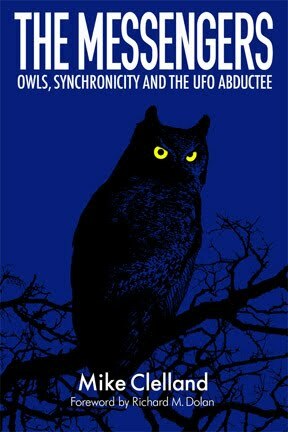 Other stories included here suggest that owls play a role in a number of alien or UFO encounters. One witness stated that his contact experiences “were often preceded or followed by the sound of owls on top of my house hooting.” Others seem to have been directed to see UFOs because of actions by owls. In one case, a husband and wife were relaxing together on a dock when the hooting of an owl led directly to the couple seeing an inexplicable UFO high in the sky. I believe Mike Clelland has made several contributions toward understanding UFOs and the phenomenon of encounters with apparent alien beings. One of these is his notion of “the maybe people.” The idea of UFO abduction is fraught with preconceptions and baggage, and a very specific idea has emerged of what it is supposed to involve. There are certainly accounts that play out with all the harrowing details of getting plucked from a lonely road or a bedroom at night. But there is a more subtle gray zone, where large numbers of people have described many of the strange aspects relating to this mystery, yet without any UFO contact. Mike’s concept of “the maybe people” underscores the complexity of this phenomenon. But this is more than a UFO book. In these accounts, the presence of owls signify important personal and transformative events in a person’s life. Certainly, this can include a UFO encounter, but these owls are also serving as harbingers of other forms of spiritual awakening. And they are connected to death--the ultimate transformation. What’s interesting is that this is precisely how ancient people understood owls. It is in fact a restatement of their ancient archetype: their ability to peer into the darkness representing an ability to penetrate the many dark mysteries of existence. Another account described here concerns a man who was literally touched on the forehead by the wing of an owl that flew alongside his car as he drove. The owl and the man locked eyes in “some sort of hypnotic trance” before it glided off. Of course, this itself is practically unheard of, but several other elements make this event mysterious and profound. As Mike takes us into its progressively deeper layers, we see it intimately connecting to the man’s medical history, his psychic flashes, a close up UFO sighting from his front door, his long lost sibling, and much more. We discern the pattern of a transcendent intelligence. Among the most poignant stories in this book concerns a woman who’s suicide surely seems to have been prevented by the appearance of an owl at exactly the right moment. 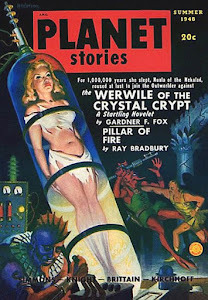 The manner in which this happened is, like so many stories in this book, uncanny. The encounter with the owl stunned her, and it triggered a deep realization to face her fears and recognize that life would get better. In this story, like all the others in this book, there are layers of meaning that are made clear as we go deeper into the experience. Something very odd is going on in our world. It is not simply the manifestation into our physical reality of things that western culture merely considers symbolic or archetypal. It is also that these manifestations appear in a bizarrely synchronistic manner. It is as if someone or some intelligence is pulling the strings of our reality, and doing so in order to tell us something. To teach us. Although this book includes intriguing stories from so many people, the main journey here is that of the author himself. Mike Clelland has examined his life with a rare commitment to the truth. It isn’t that he planned to undertake this project. Rather, as he said, something triggered it. That something, as strange as it would seem, was owls. When he began exploring his own past with bravery and honesty, he found much more than he had ever imagined. During this process, he went through moments of great duress and even questioned his own sanity. He has now come to terms with his own alien encounters, which he describes here with great detail and power. Indeed, the event he aptly calls his “confirmation event,” is nothing short of mind-blowing. It’s refreshing, too, that he writes about all this not as a victim, nor as some sort of new age prophet. In telling his story, Mike simply strips away all pretense and dedicates himself to exposing the truth as best he can. As a result, his deeply personal journey is one that we can all relate to. His research itself was filled with oddities. During the writing of this book, he related to me how the stories themselves would arrive to his email in a synchronistic flurry. And while it is obvious that he has done a great deal of research in creating this wonderful book, he strongly believes that the core of it happened magically. We might well wonder if a guiding intelligence has simply used him as the conduit for making it happen. He seems to feel that way. Like all works of great originality, The Messengers is hard to describe because there are no clean and neat categories within which to place it. That is why writing about it has been a challenge. Perhaps the book that feels the most like this one is Whitley Strieber’s classic, Communion, another profound and personal journey that explores the high strangeness of alien encounters. Even so, The Messengers is something new. I believe Mike Clelland is taking the study of UFOs and what we loosely call the paranormal into a new and fresh direction. It is as if he has opened up a new vision of exploring our reality, a new vein in which to explore and dig further. Answers will be hard to come by. But the questions make it all worthwhile. Mike - One can't get a better recommendation than one from Rich Dolan! Congratulations on the publication. I received my copy yesterday and finding it difficult to set down! At about 100 pages in - I'm a bit un-nerved but encouraged. Thank you AND Rich for laying this open! Chris Hancock here. I met you at Experiencers Speak, with Debi Tripp. I'm excited about your book. Congrats on getting it out. Can't wait to receive it and dig in, especially since I've been experiencing an owl synchronicity of my own as of late. Hearing them all the time, in the oddest of places. Even seemingly "on command," i.e. I get a felt sense, I stop and... 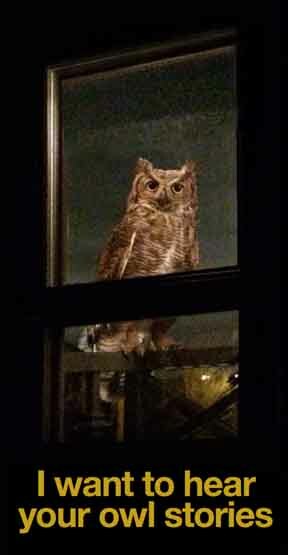 bam...I hear an owl. About 6 months ago or so one literally flew across the windshield of the car I was driving out of our street at home. My wife was in the passenger seat. Funny enough, she wasn't sure she saw it. Was it for me only? Not sure. But somethings up.